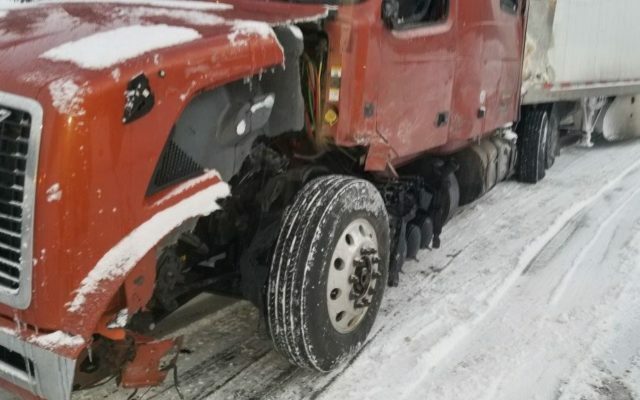 Poor road conditions caused two tractor trailer trucks to crash into one another at 4 a.m. Thursday, Feb. 7, closing one lane of the road for approximately five hours, according to a release from Maine State Police Trooper Andrew Levesque. 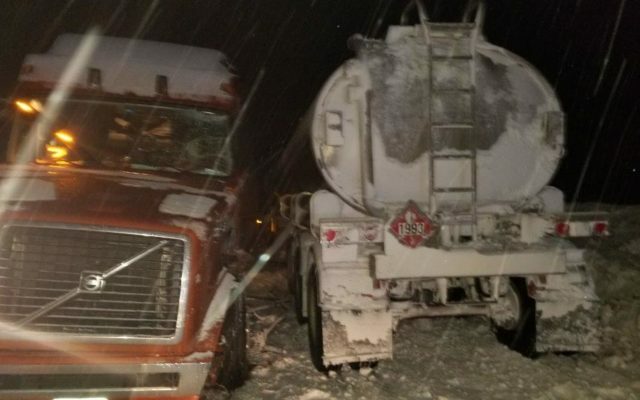 CYR PLT., Maine — Poor road conditions caused two tractor trailer trucks to crash into one another at 4 a.m. Thursday, Feb. 7, closing one lane of the road for approximately five hours, according to a release from Maine State Police Trooper Andrew Levesque. The crash occurred when Melvin Ray of Dayton, Ohio, was driving a 2013 Volvo trailer truck south on the Van Buren Road in Cyr Plt., and lost control on a steep hill. This caused the truck and trailer to jackknife and fully block the northbound lane of traffic. 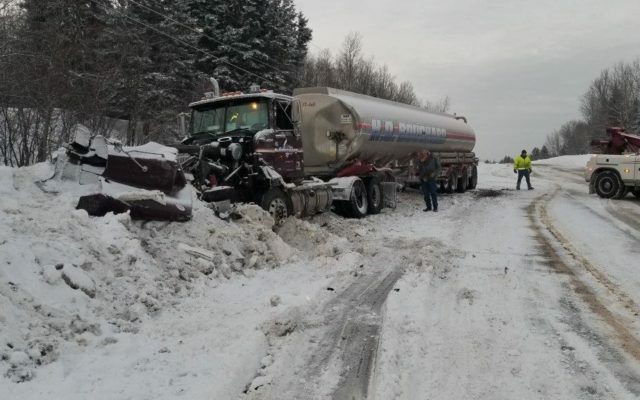 At this time, David Lamoreau of Caribou was traveling north in a 2015 Western Star trailer truck and was unable to stop in time due to the treacherous travel conditions, causing a crash that totaled both trucks. Emergency medical personnel took Lamoreau to Cary Medical Center for minor injuries, while crews worked for five hours removing the two trucks from the road.